If those verses were indeed added later, the motivation is obvious. After all, the shorter version of Mark 16 leaves the narrative hanging: the tomb is empty, an angel testifies that Jesus “has risen; he is not here,” and then… an abrupt conclusion, with frightened women who have not yet told anyone the news or seen the risen Lord. Mark left out the best part! There is no question in his gospel that Jesus had in fact risen, so why truncate the account so we never encounter the resurrected Lord? To understand why Mark might have been comfortable with such an abrupt conclusion, we have to remember that his gospel did not exist in a vacuum. During the first few generations of the church, before and while the New Testament was written, Christian history and doctrine were passed along orally. This oral tradition is referenced in the New Testament itself (cf. II Thess 2:15) and was often cited by the early church Fathers. It even appears seemingly verbatim within the text of the New Testament in passages like I Corinthians 15:3-8. Within that context of universally known oral tradition, including accounts of Jesus’ post-resurrection appearances like the summary which Paul quotes in I Corinthians 15, Mark’s “omission” isn’t an omission at all—it’s a cliffhanger. If you are writing a trilogy, it is not poor storytelling to pause the action midway through the final scene in book two! In essence, Mark wrote books one and two of the trilogy of Jesus’ earthly life, covering his ministry years and his trial and crucifixion. And even though Mark himself never wrote the “third book,” he knew it existed in the form of oral tradition (and soon in the three other gospels as well). So just as his gospel repeatedly raises the question, “Who is this Jesus?” and leaves the reader to figure it out, Mark ends his narrative with a question—“Where is Jesus, and what is he doing?”—and leaves the reader with the thrill of knowing the answer. But that would only work if Mark’s readers actually did know the answer. Literary techniques like rhetorical questions and omitted details are only effective if the writer can count on his audience to fill in the blank. And the fact that Mark was clearly expecting his readers to know the rest of the story tells us something important about what the earliest Christians believed about Jesus and his resurrection. According to many skeptics, the early church presented a bewildering diversity of “Jesuses.” After all, Jesus himself was a pile of bones in a Palestinian tomb, so his followers interpreted his life in various ways until eventually the narrative of a divine Jesus who rose from the dead become dominant and was retrofitted to Old Testament prophecies to make it seem more credible. According to this view, other, competing narratives were discarded, leaving us with an artificial unity among the four gospels which made it into the New Testament. The conclusion of Mark’s gospel is one of many flaws in this hypothesis. Mark obviously believed that Jesus rose from the dead. If not, why write the gospel in the first place? And even if Mark’s gospel was intended merely as a history of a respected teacher (which it obviously is not), why end it like this? And [the angel] said to them, “Do not be alarmed. You seek Jesus of Nazareth, who was crucified. 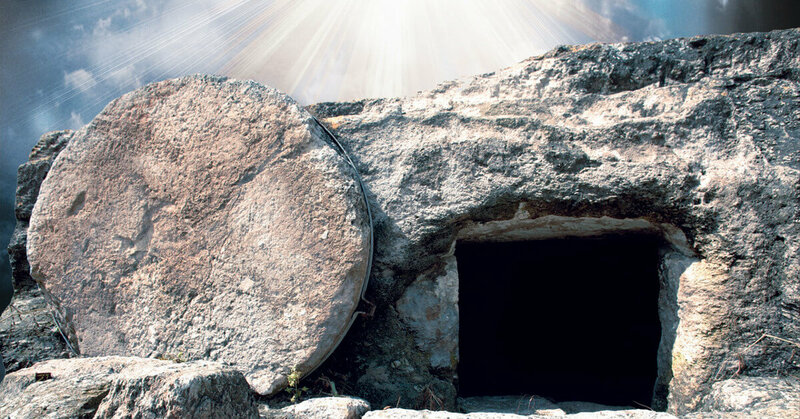 He has risen; he is not here. See the place where they laid him. But go, tell his disciples and Peter that he is going before you to Galilee. There you will see him, just as he told you.” And they went out and fled from the tomb, for trembling and astonishment had seized them, and they said nothing to anyone, for they were afraid. That is some very confusing misdirection if Mark didn’t believe Jesus had risen from the dead! And what about Mark’s triple recounting of Jesus’ own words, telling his disciples to expect him to die and rise again, in Mark 8:31, 9:31, and 10:33-34? For the most terse of the gospel writers to quote Jesus making the same prediction three times would be most curious unless Mark believed that prediction had come true. So Mark believed that Jesus rose again. And he wanted his readers to believe the same. Yet in his gospel account, he does not mention a single witness to the resurrection. What an ineffective polemicist! Unless, as we said above, Mark knew that the risen Savior’s appearances were so widely known in the early church that no additional testimony on his part was required. He left his readers to fill in the blank at the end of his story because he knew they could and would. As a matter of critical history, that does not by itself prove that what the early church believed was true. But it does provide compelling evidence of what the church has believed from the very beginning.